ysabetwordsmith | Poem: "Stable Lunar Orbit"
This poem is spillover from the January 19, 2016 Poetry Fishbowl. It was inspired by a prompt from sweet_sparrow. It also fills the "transformations" square in my 1-3-15 card for the trope_bingo fest. This poem has been sponsored by Anthony & Shirley Barrette. It belongs to The Moon Door series. proved to be a challenge. torn off Hilla's arm and then eaten it. Both of them still had nightmares about that. and Hilla couldn't blame her. still allows access," said Felice. happy with any of the ideas yet,"
one problem, it causes another." lycanthropy would be easy," said Felice. it's a lot trickier than it looks." "Now I can't help thinking of your last name,"
you're any relation to the famous Neil Armstrong." a whole family tree to explain," Felice said. at all," Randie said glumly. "I'm not confident." then we can put the moon in a woman,"
to do that?" Hilla asked her. and Hilla to check it out. built after the first world war. just look for the yellow house,"
painted an unappealing pale green. Randie said. "It's a bit of a decoy. The holding cell is the plain one." There were no other furnishings. "This is your idea of a secure holding cell?" ripped Hilla's arm off. I may actually cry." It was Randie who started crying, though. "Felice, stop, you're doing the bad thing again,"
and it's making Randie sad." to insult you," Felice said to Randie. could. You're just not an engineer. Don't worry, I can fix this." "I don't have much money." "I'm an engineer. Money is no object,"
seven figures is a weekend hobby job for me." the house is kind of a dump. I'm not good at fixing things. So yeah ... a little jealous." every couple of weeks?" Felice said. "Well, not that part," Randie admitted. and try to concentrate on design." "Okay," said Hilla. "Put us to work." other parts of the basement. "All right, that does it for now,"
into the ninth circle of hell. ceiling, including a new light. so that it could be pulled shut. to get more than her muzzle through it. "I still kind of hate this idea,"
"I'll do the biting if you're not willing,"
and my wolf is more than willing,"
whether I particularly want to or not. all by yourself, it would be cruel." "We're all in this together,"
the shoulder of each woman. agreed, putting their hands over hers. Felice Armstrong -- She has olive skin, brown eyes, and long black hair with just a little wave. She is 35 years old. She is mixed race with primarily Mediterranean heritage, a little Japanese and African-American. She is related to Neil Armstrong through a convoluted route. Felice suffers from Stage 4 endometriosis, which causes debilitating pain on average about half the month, and discomfort at other times. Although she and her husband Harry have tried for years to have children, it hasn't happened yet. Felice has a master's degree in engineering. Despite the chronic pain, she is clinging doggedly to her job as a civil engineer. Lunar orbits are part of space exploration. Engineering jobs include civil engineering for buildings, bridges, parks, and other public works. Nightmares often occur after trauma. 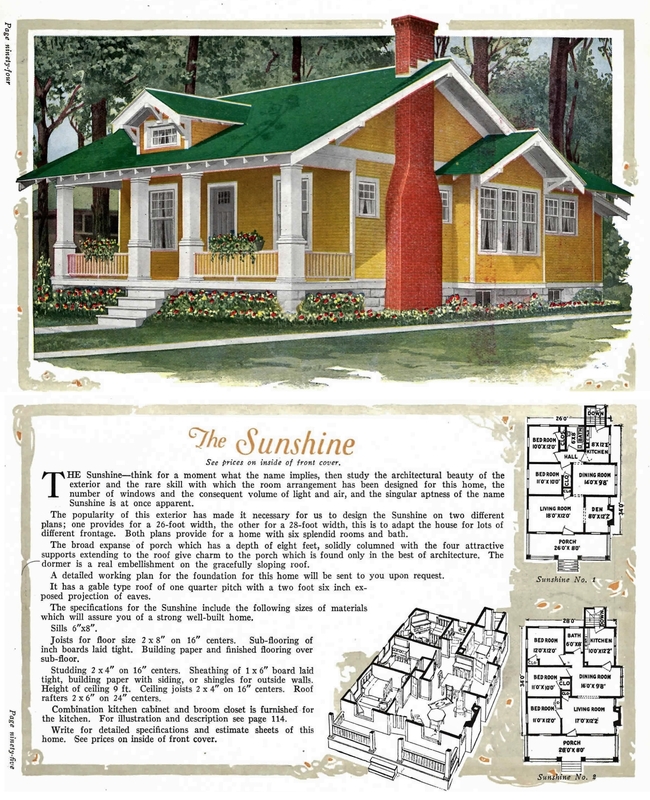 Bungalow Style houses were popular around 1900 to 1935. The yellow neighboring house is an Aladdin Sunshine from 1920. Randie's house is a C. L. BOWES CO.Design 12638-B from 1925. The original cell door was plain wood and the interior was crumbly. A proper cell door is sturdy and has a slot for access. After the renovation, Randie's improved holding cell looks more like this. Engineers have their own subculture. They can seem very rude to others. It's not that they're bad folks, they just tend to focus more on projects than on people, which can lead to thoughtlessly hurtful remarks. This complicates their social life, especially dating. Although engineers and artists rarely mingle, the results can be amazing when they do, and Felice's husband Harry is an artist. Most people learn social and emotional skills while growing up, but not everyone does -- and not everyone who tries it actually succeeds. Felice therefore relies on her friends in the support group to serve as emotional spotters and remind her when she strays too far from the expected range of civility. This helps her stop being rude to people she cares about. Understand how to handle rude friends and how to cope with their unkind words. Endometriosis causes painful menstruation and other unpleasant symptoms. People with chronic illness have healthy days and unhealthy days; part of the management process involves measuring and adapting to that cycle. They learn to take advantage of the good days, their own or someone else's. Emotional support contributes to a healthy, happy life. Know how to give and receive it to buffer against challenges. Typos fixed. It should say Felice.